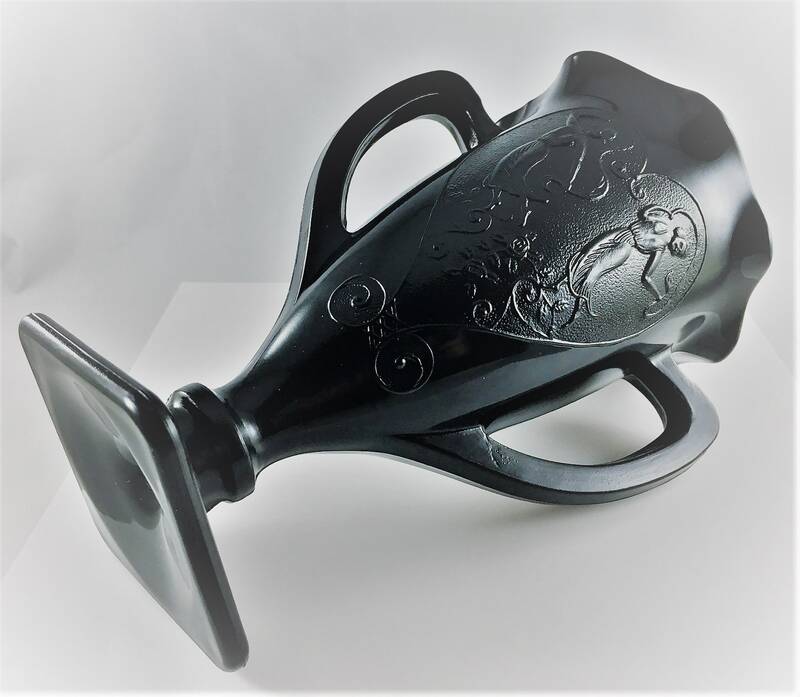 Vintage LE Smith Black Amethyst Trophy Vase - Dancing Nymph Girls - Loving Cup - Purple Glass. 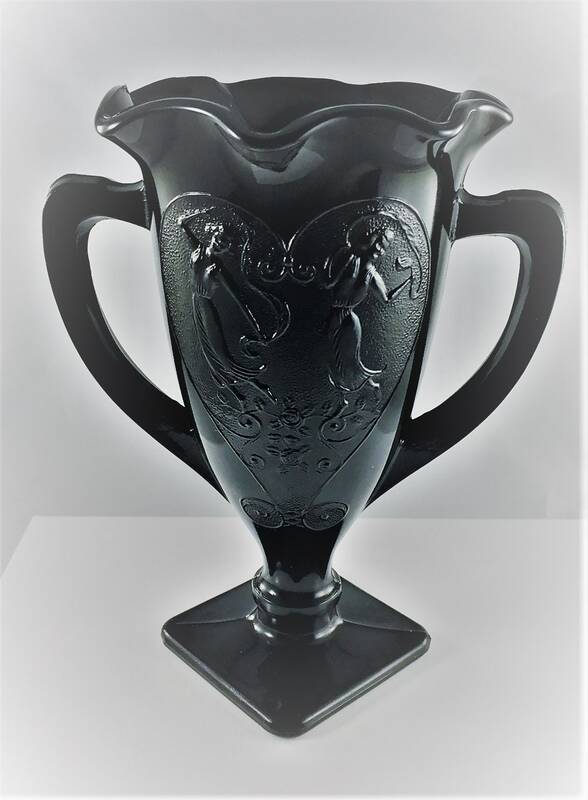 Featured is a beautiful L E Smith dark amethyst glass vase with two nymph girls dancing with ribbons, roses under their feet and gorgeous scrolls throughout. 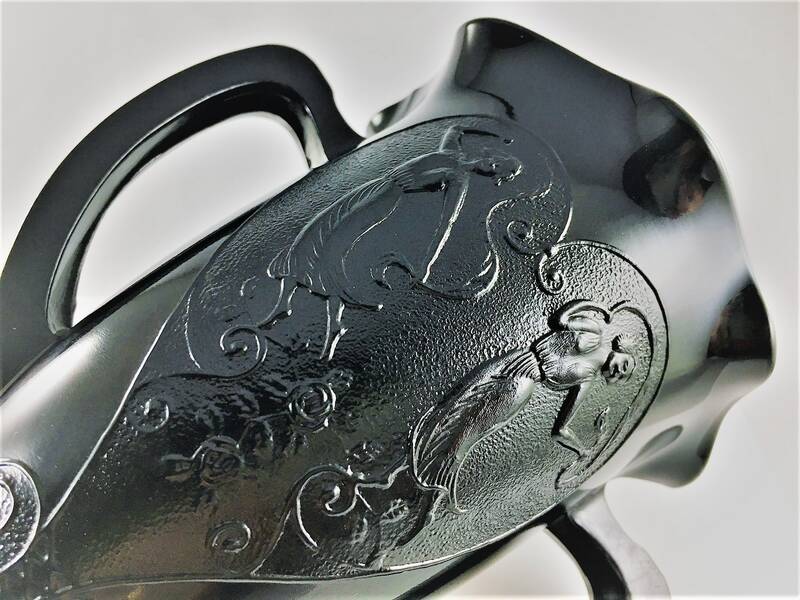 This embossed scene is set inside a heart and is shown only on the front of the vase; the back of the vase is smooth. 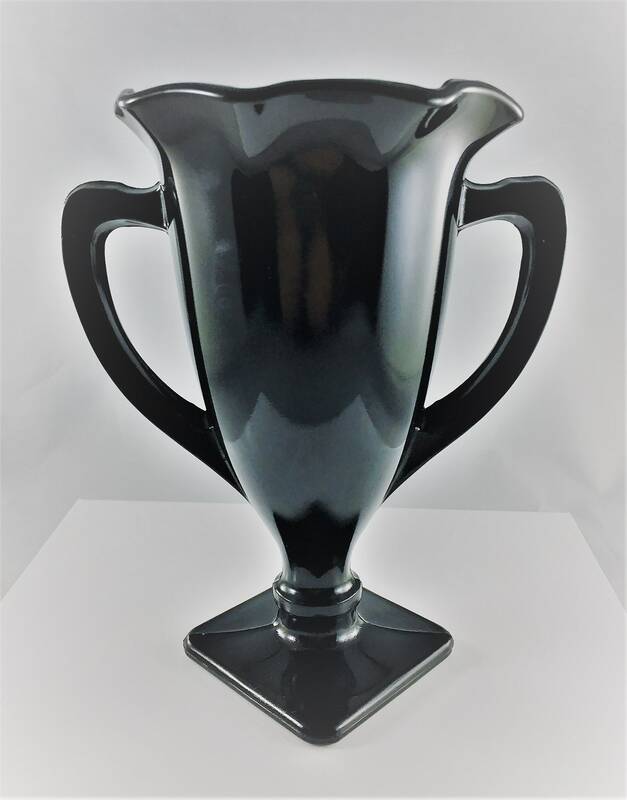 This vase is called a loving cup or a trophy vase; it has two handles, ruffled rim and a squire base. 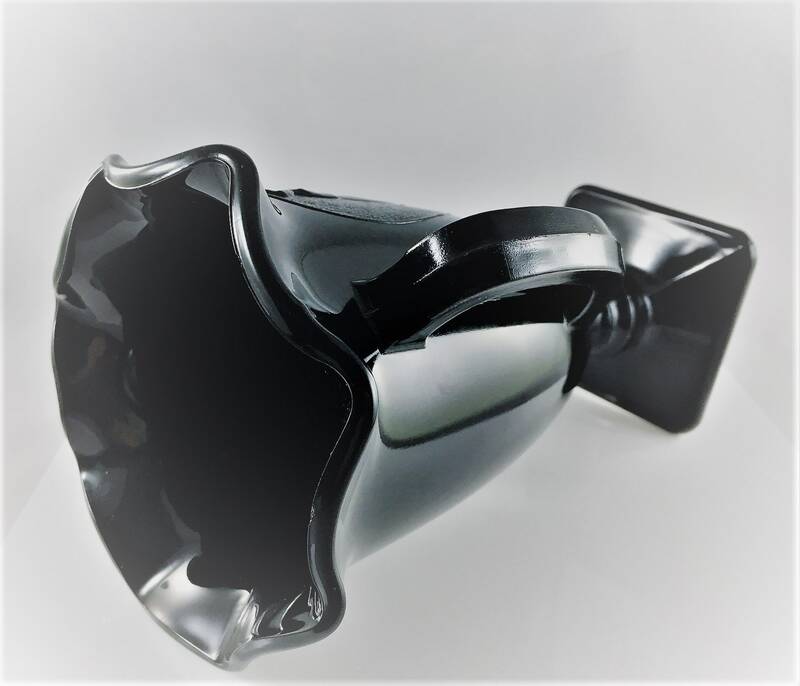 This amethyst glass this vase appears black, but if you hold it up to the light you see gorgeous deep purple color. 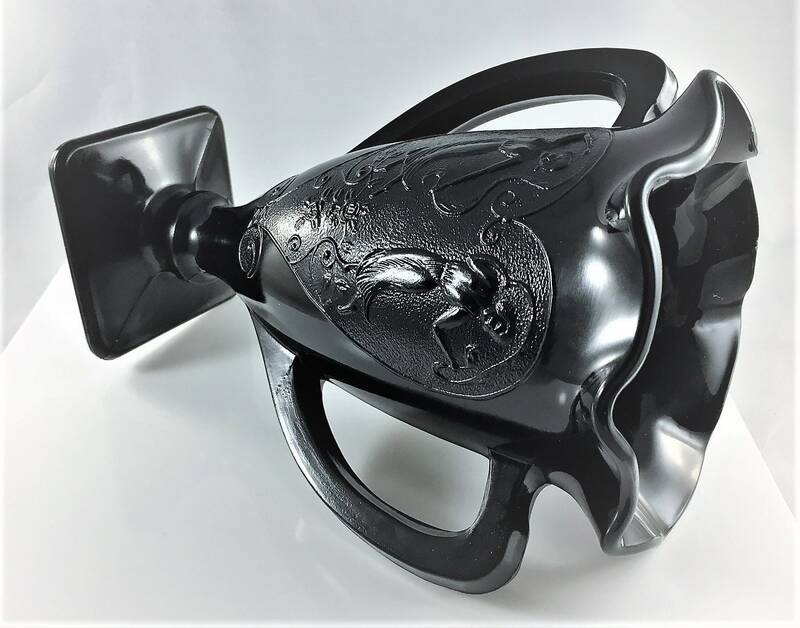 This wonderful piece is in excellent vintage condition with no chips or cracks. Approximate Size: 7 1/4" tall x 4 3/8" diameter x 5 7/8" wide handle to handle x 2 3/4" square base.